Our founder, Melissa had the opportunity to sit down with Tony Wanless of the Financial Post to speak about what it means to use PR as a force for good. Social enterprise — a socially responsible business — is a growing sector in Canada, as entrepreneurs launch ventures that not only finance operations and provide a profit but also make a social impact. The trend is growing in all corners of Canada but seems especially popular in British Columbia. According to a study by UBC released in 2015, the province had 1,891 social ventures employing almost 13,000 people, with annual sector earnings of more than $ 500 million. And that was two years ago, when the movement didn’t have the oomph it has now. Of course, it’s easy for any company to term itself a social enterprise by simply adding a giving component to its normal profit- making business. But just naming yourself one doesn’t make it so. It’s more than skin deep. According to the Monitor Institute, which is part of the global strategy firm Deloitte, a social venture “is an undertaking by a firm or organization established by a social entrepreneur that seeks to provide systemic solutions to achieve a sustainable, social objective.” Often they are part-profit undertakings. Social ventures may be structured in many forms, including sole proprietors, for- profit and not- for- profit firms, non-governmental organizations, youth groups, community organizations and more. A form of social venture company called the B- corporation provides a legal structure for for- profit corporations that have been certified by the Pennsylvania-based B Lab, a non-profit organization itself that encourages the use of business as a force for good. 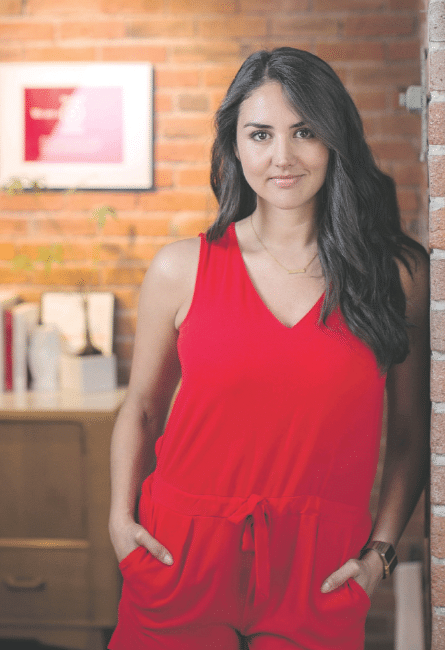 Social venture numbers are increasing as younger entrepreneurs start businesses that reflect their own values while helping them earn a living, says Melissa Orozco, 33, founder of Yulu Public Relations, an agency based i n Vancouver and New York that works in both countries. It applied for Bcorp certification two years ago. Like other public relations firms that have turned in varying degrees to supporting social causes, Yulu is moving away from traditional marketing strategies. WE FELT PR NEEDED SOME PR. Orozco discovered she liked helping social enterprises after working with some non-profits. They were, she says, more interesting. “Social enterprise is hotter now, but when we started ( three years ago), there wasn’t much interest in it in boardrooms,” she says, adding that although most social enterprise still involves smaller companies, the concept is increasingly filtering i nto bigger c ompanies’ thinking. The Yulu impact relations team is attuned to the concept of socially responsible investing, especially after helping several companies that were early to the field, Orozco says. Typically, social investors look for companies involved in social justice, environmental sustainability and alternative energy or clean technology. Investments are usually made through socially conscious mutual funds or exchange-traded funds.